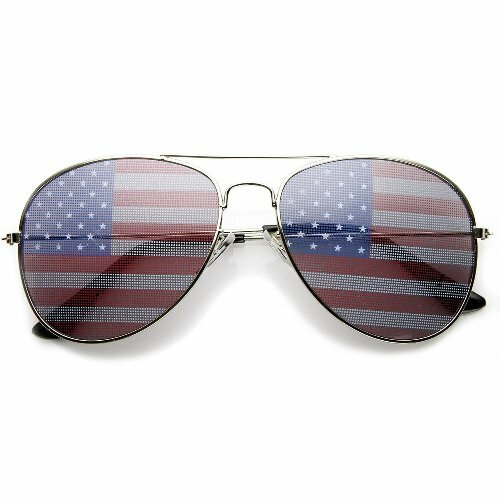 This American Flag Aviator Sunglasses protect your retina from UV rays to damaging. It is patriotic. They are great quality and stylish and perfect for 4th of July. The lens have small defects in the flag print. Tiny spots ere missed when the flag print is put on the lens. They are not Scratches! The drawback of this American flag aviator sunglasses is the clarity of the shades; you can see the lines across the front. Therefore, It would not be safe for driving. Another issue would be the size. Otherwise, it is a good sunglasses. It come in a nice case.